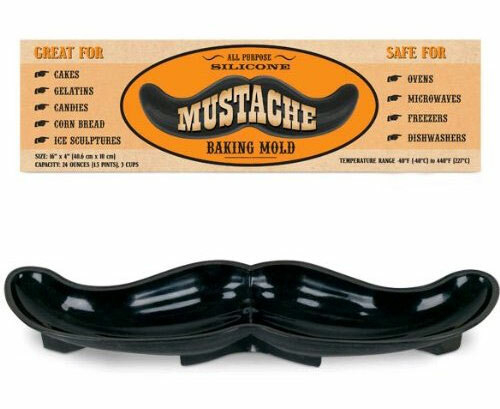 Mustache Silicone Baking Mold will help you achieve that goal. Fill it with cake batter, gelatin, cheese, or whatever and the result will be a mustache-shaped foodstuff that the mustachioed and non-mustachioed alike will not be able to resist. Maybe. In any event, delicious or not, whatever you make it won’t last as long as a mustache finger tattoo, but that’s probably a good thing.